I hope you had a good weekend. Ours was spent doing our annual Spring yard cleaning. That was a lot of work! With all the rain we have had so far this year, the flower bed on front of our home looked like a jungle. And six hours later and fourteen trash bags of clippings, this is what it looks like. Much better, right? We still have to pressure wash the stone around the flower bed, but after six hours of work we were exhausted so it will have to wait until next weekend. 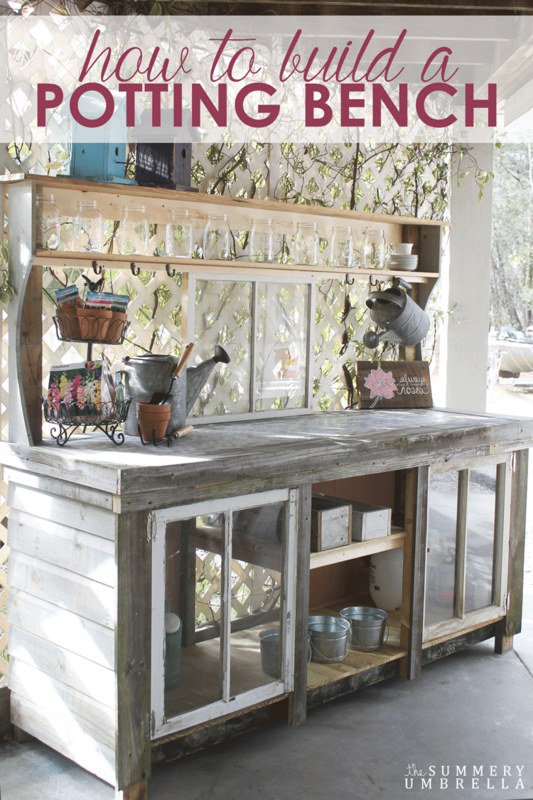 LZ at The Summery Umbrella built a beautiful potting bench with reclaimed wood. Jolena at While I Linger gave her counter chairs a new look. 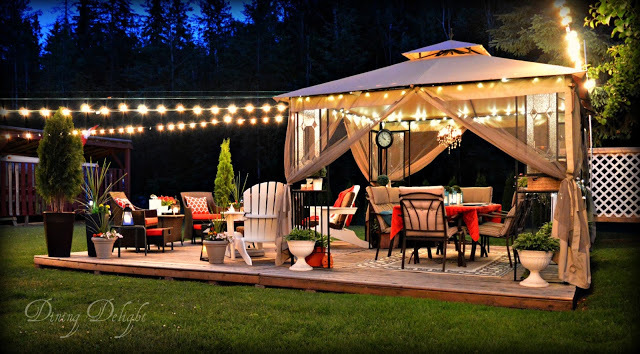 Lori at Dining Delight shared with us her gorgeous outdoor space. Debbie at Debbie-Dabble shared her beautiful powder room. 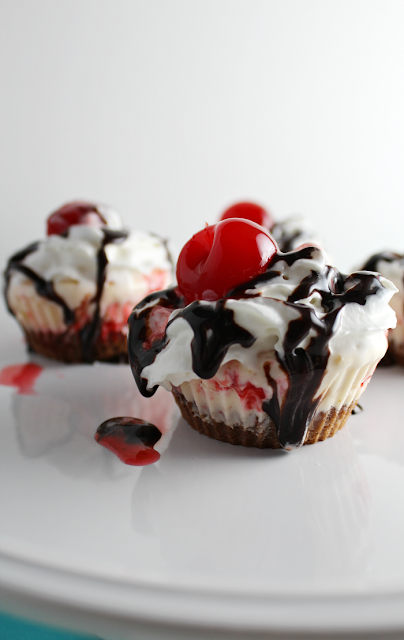 Christina at Mom's Messy Miracles shared a wonderful recipe for Cherry Cheesecake Ice Cream Cupcakes. 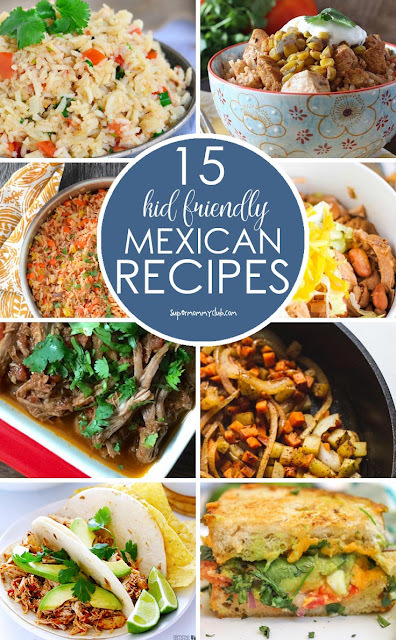 The Super Mommy Club shared a wonderful collection of Mexican food recipes. 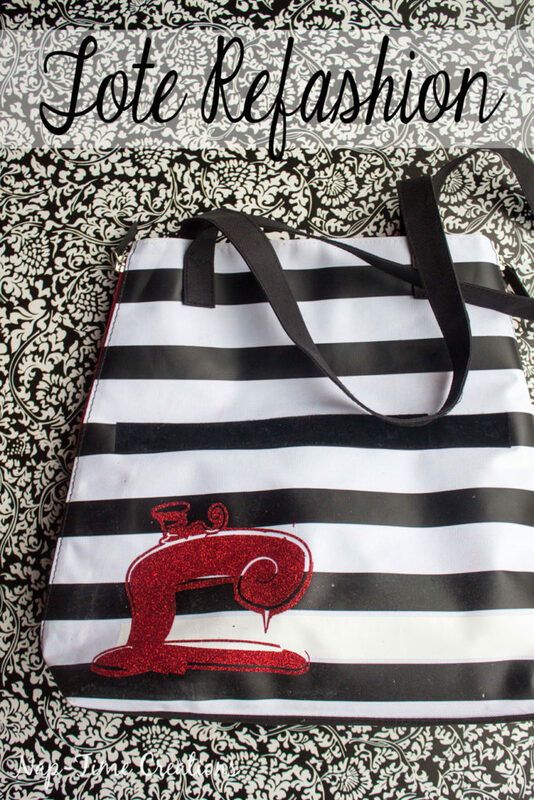 Emily at Nap Time Creations refashioned a tote bag with vinyl. Love this project! 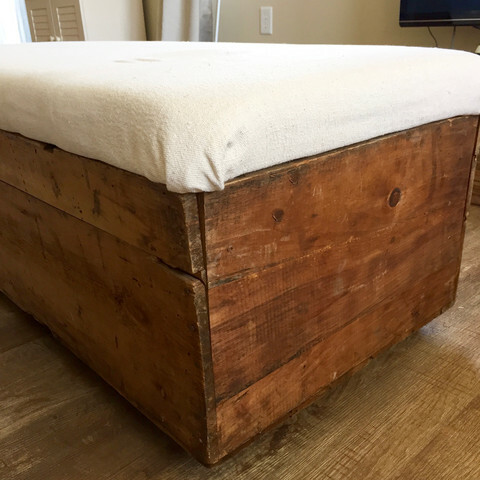 Taylor at Sugar & Succulents built a beautiful crate ottoman. Maria, Thanks so much for the feature!! I will be giving you a Shout Out in my next post and on Google +!! 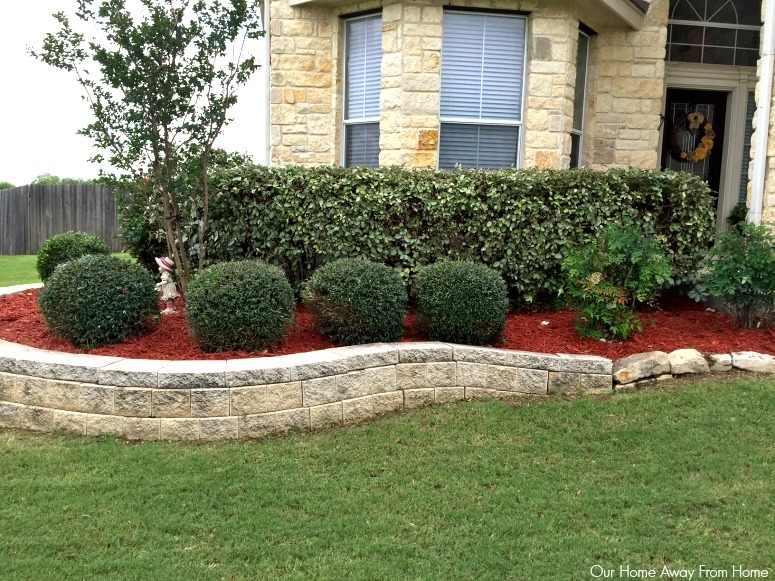 Your flower beds look great! I've been doing the same thing in my front yard. Now we are waiting on the painter to come stain our shutters and we'll be set for a new year. Your front yard is looking good! Love that potting bench post! Thanks for hosting dear! 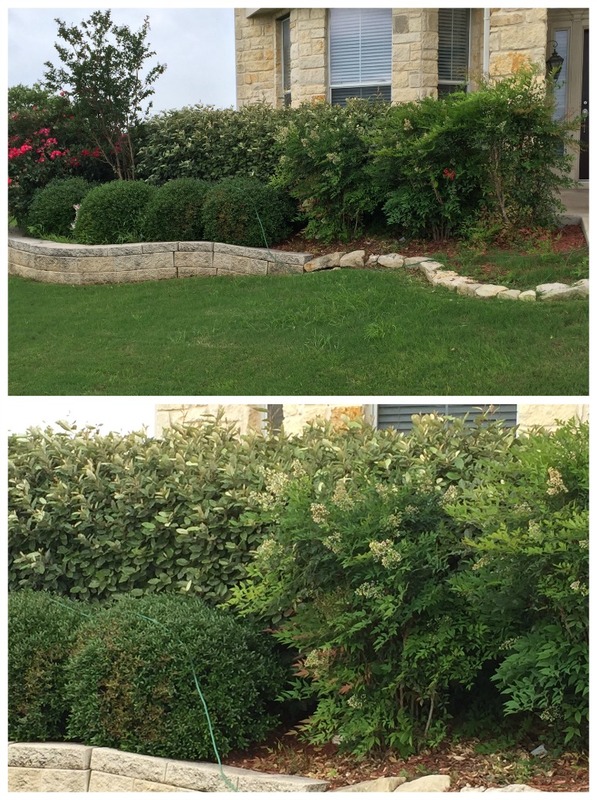 Your landscape looks pretty, Maria Elena! Thanks for the party! Wonderful (and what a lot of hard work ! ) front planting area. Thank you Maria Elena for hosting Tuesdays At Our Home 160. Appreciate visiting and joining in. Wow, looks beautiful, Maria Elena! You people work so hard, I have to take a nap after just reading what you've done....lol! Crazy what some rain, like you have had, does to the vegetation. Thanks so much for hosting, dear one! Also: WOW: I'm so excited that you've featured my crate project! I'm feeling very honored and humbled that other people enjoy reading about the things I make; and I hope perhaps try to make their own versions too!! Oh, my goodness, that Cheery Cheesecake Cupcake has me swooning! I absolutely adore the Spring clean~up of your front yard! of the front of our 1970's Ranch Style Home and we need all the inspiration we can get! 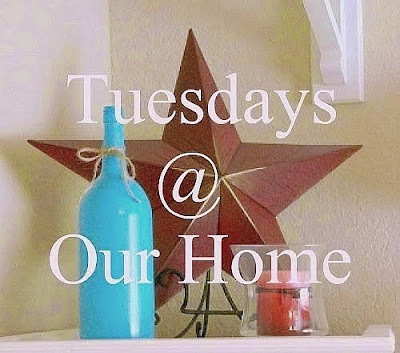 Thank you for hosting Tuesdays At Our Home! each week! Spring sure does bring a lot of chores but looks like you are getting a handle on it with your beautiful landscaping all cleaned up. No wonder you are worn out after all your damage due to weather and now, the extra work it means with spring yardwork. Thank you so much for featuring my Summer Dreaming post! I'm thrilled! I also appreciate your efforts in hosting this terrific party. 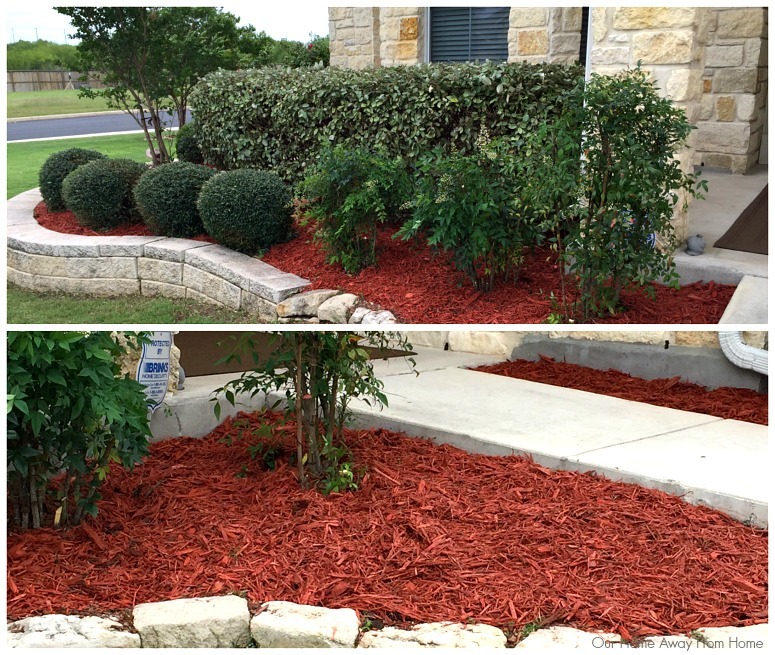 Your front yard is looking gorgeous! Isn't this just the best time of the year? I love living in South Carolina and enjoying an early Spring. Hi Maria! Oh, your garden mulching looks wonderful! Again, lovely features and thank you for hosting your party. Thank you for the party Maria! Your yard looks beautiful! That's a lot of work and I know you all must be tired. Enjoy the rest of the week! Lori's outside space is simply FABULOUS !! Thank you for hosting dear Maria.